Real-time Service Area for AAA Fire Protection Inc. I really like working with AAA, and especially Rick the technician. He's good at communicating, and very personable. I feel I can rely on his opinion of what needs to be done. Michael W. delivered excellent customer service and follow up. Thank you! AAA Fire has met all of our needs on time and on budget! Enjoyed having Michael at the store. If the quality of his work matches his attitude and friendliness it is all 5-stars from me. I have not seen the pricing yet, but expect to be acceptable. Great service, easy to work with! Preformed annual wet sprinkler testing for unit that was unavailable during the primary visit. All systems normal! 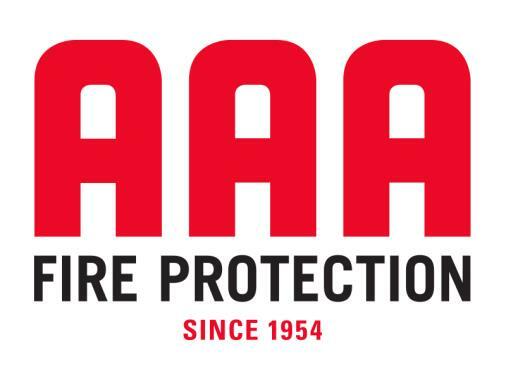 Thank you for choosing AAA Fire Protection. The Northwest’s Most Trusted Name In Fire Protection! Preformed annual fire alarm testing with 100% unit access! Thank you for you assistance in accessing units and property. All systems normal! Thank you for choosing AAA Fire Protection. The Northwest’s Most Trusted Name In Fire Protection!